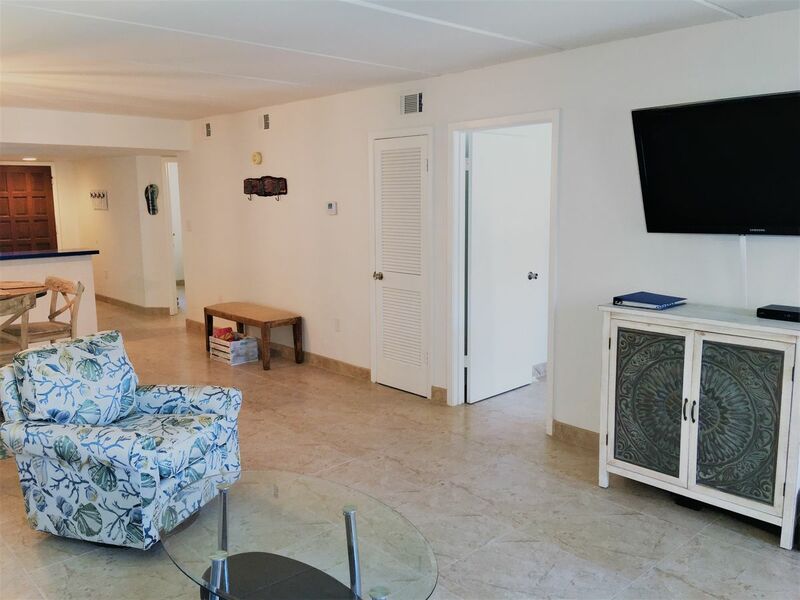 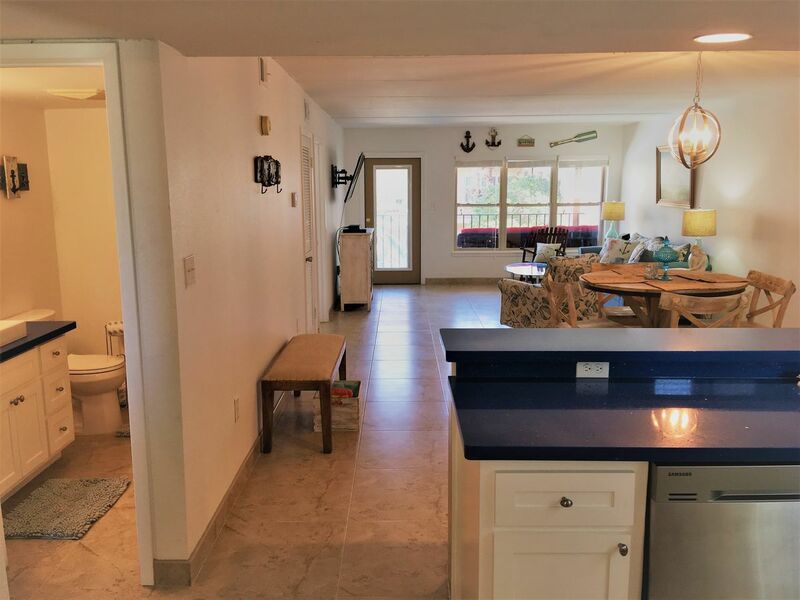 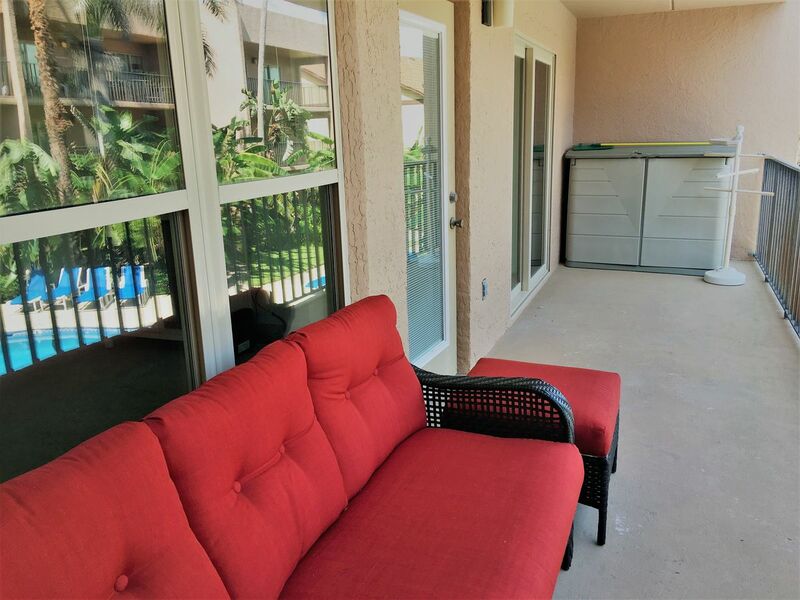 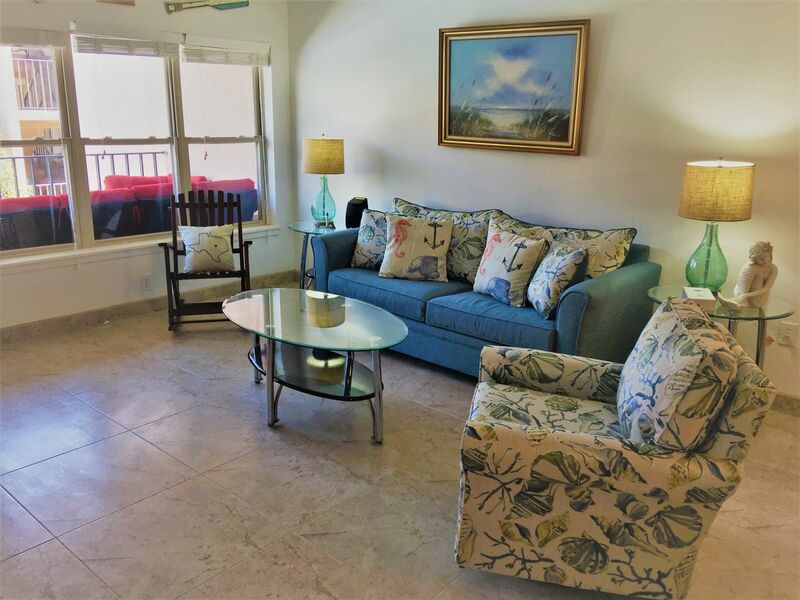 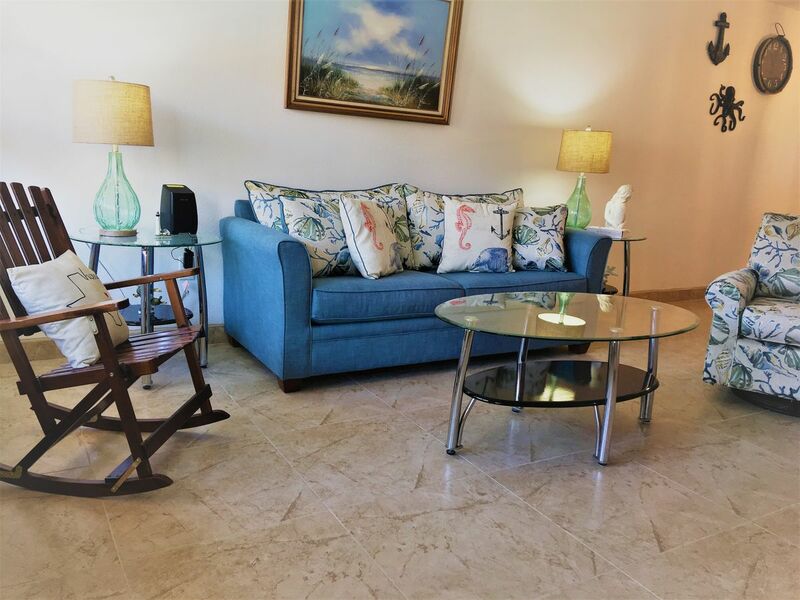 Magnificent 2 bedroom 2 bath condo located on the second floor of the Beachview Condominiums. 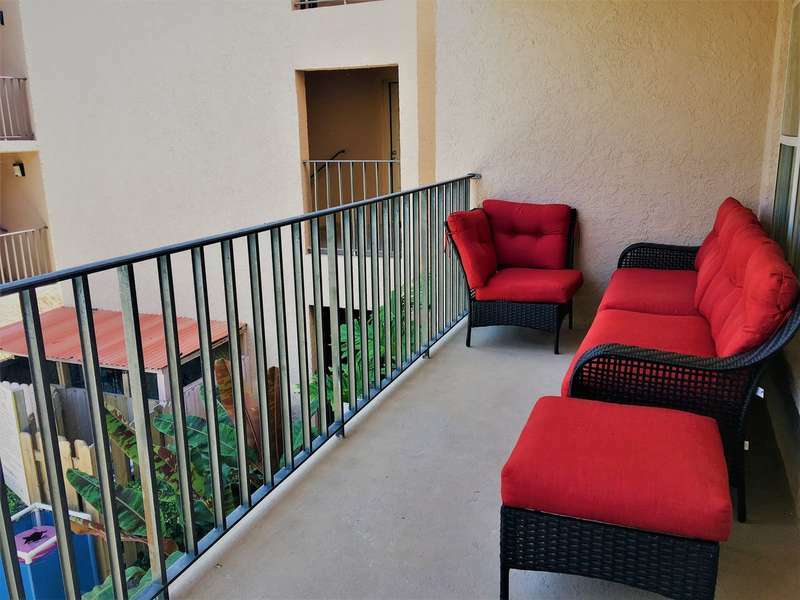 The private balcony looks right over the large swimming pool and tropical landscaped garden. 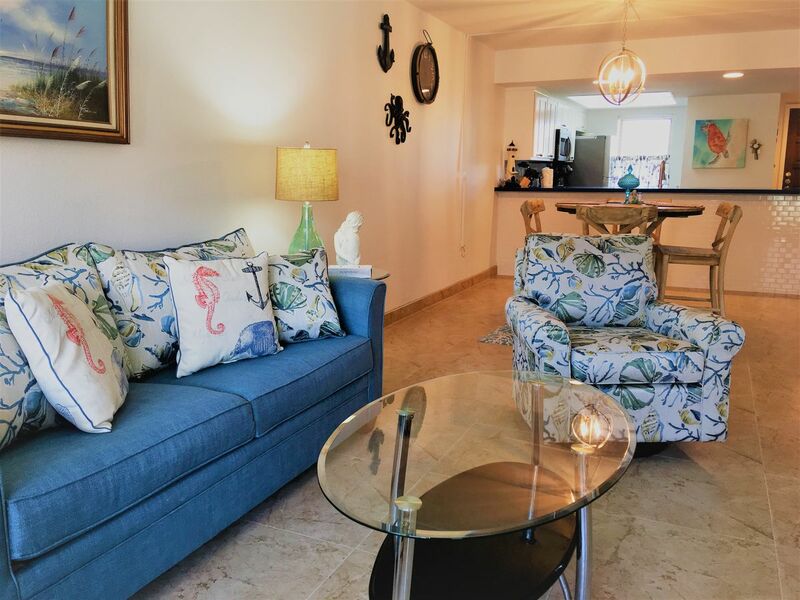 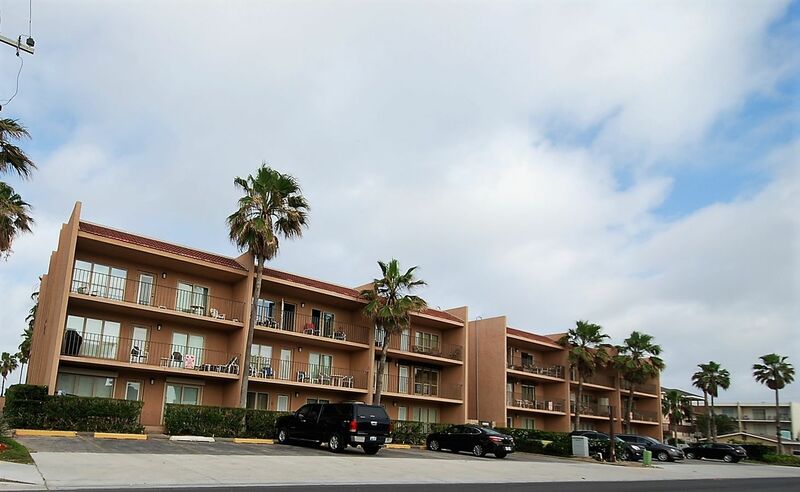 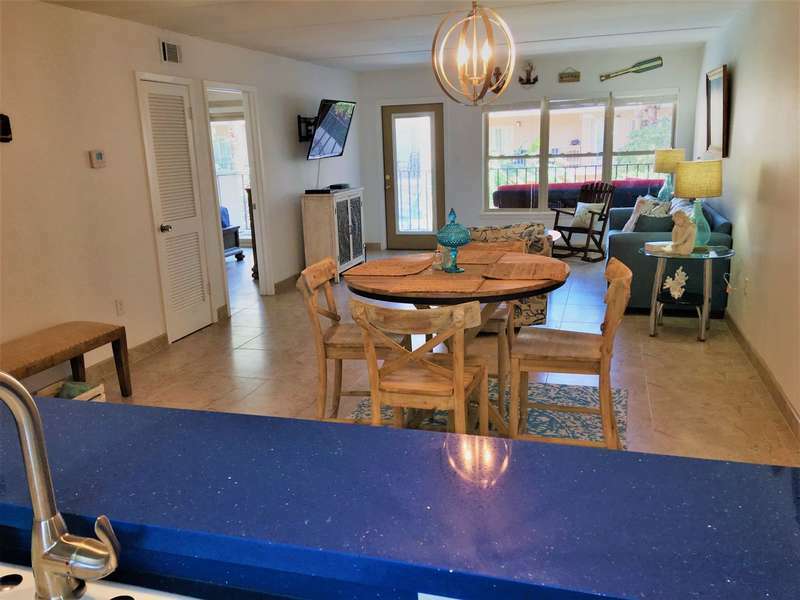 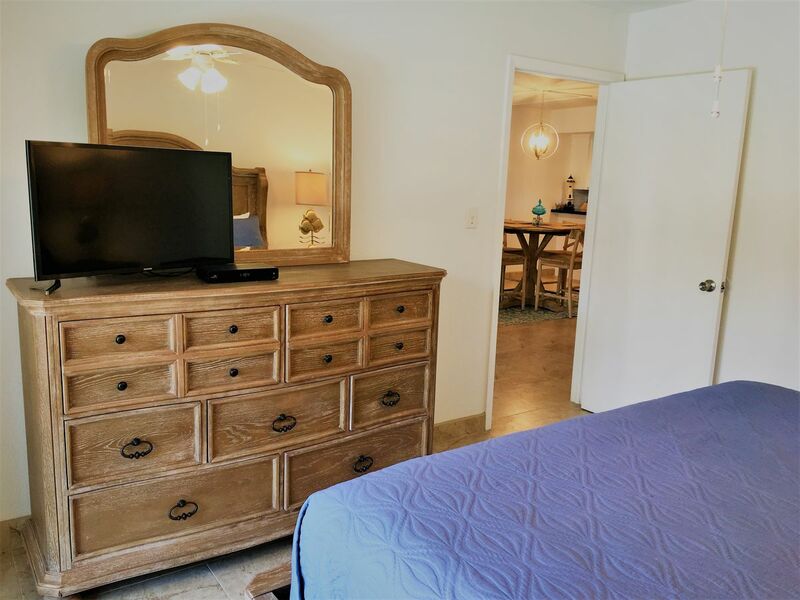 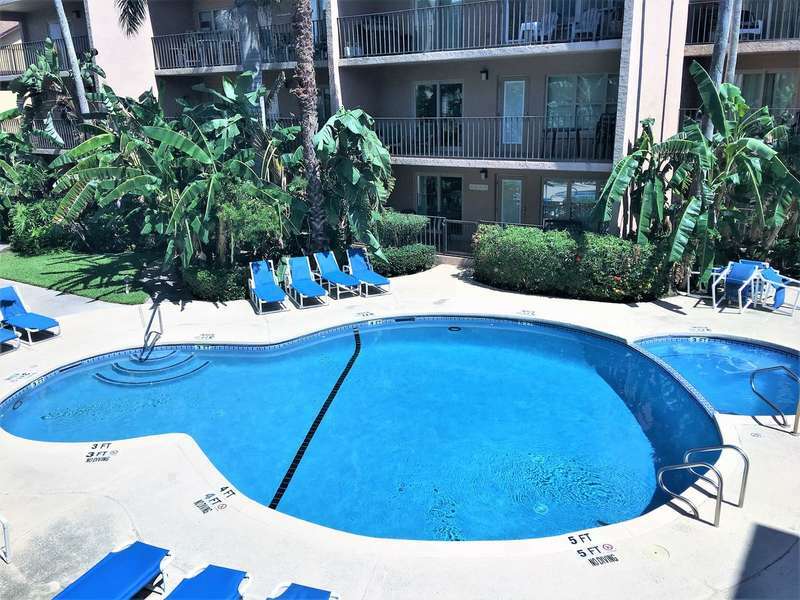 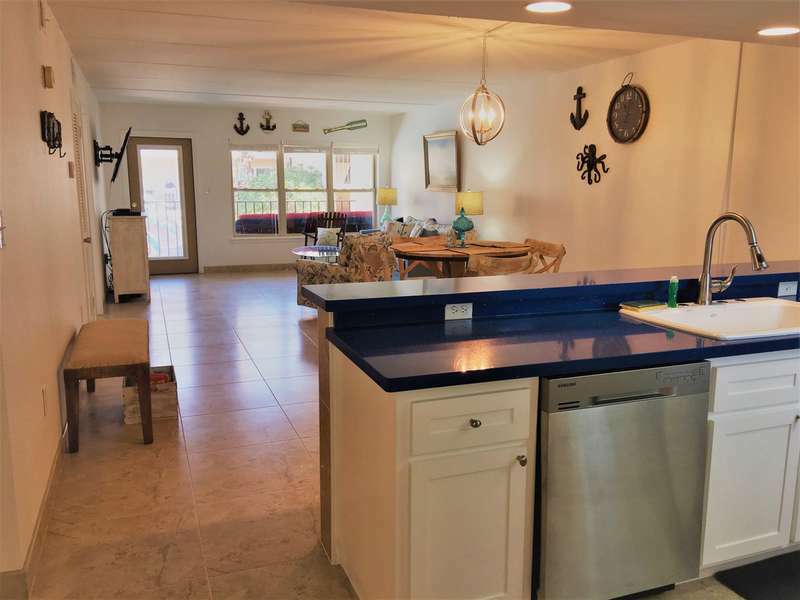 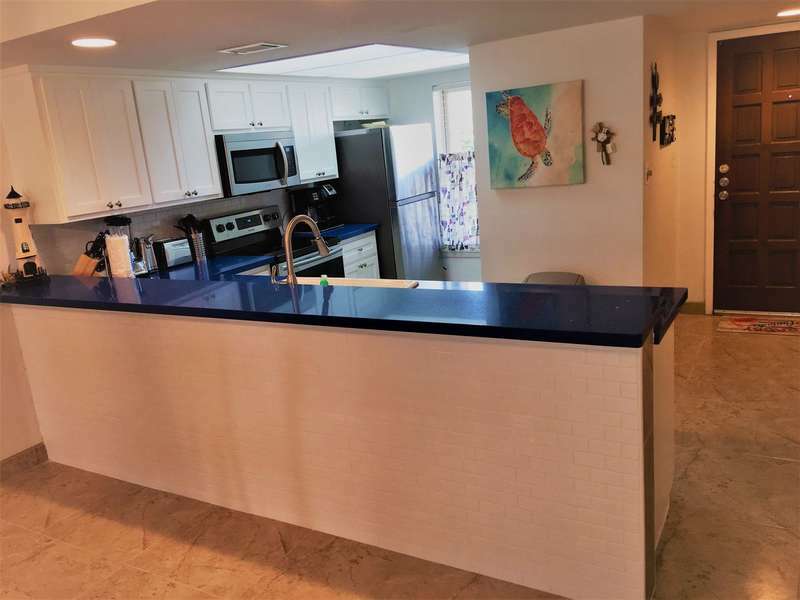 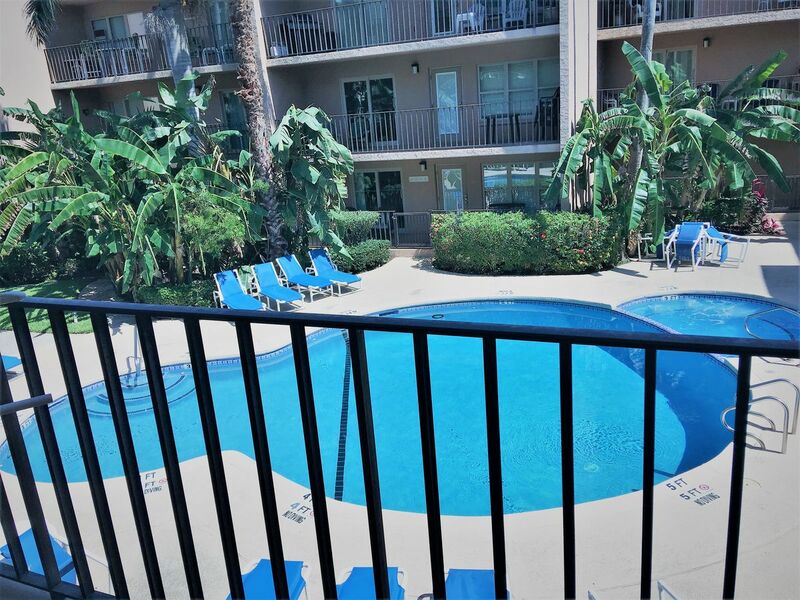 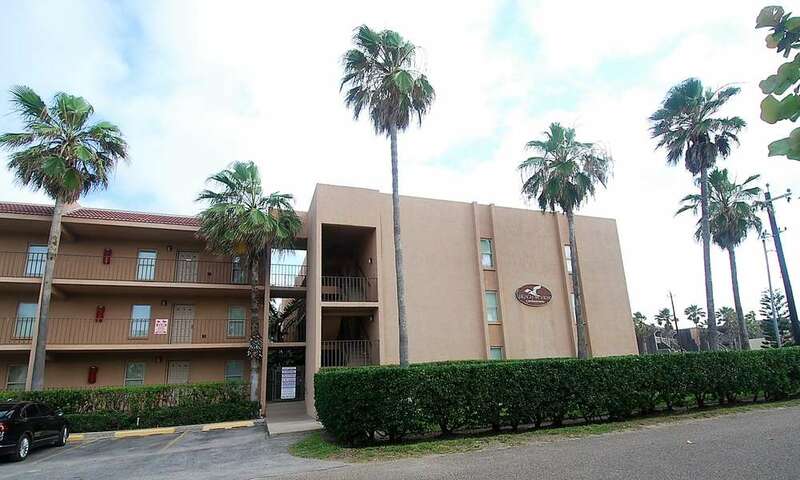 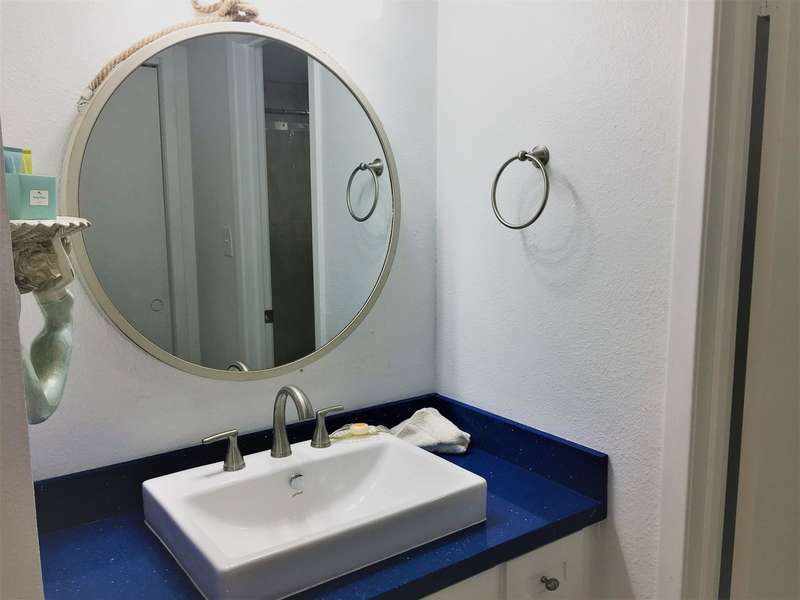 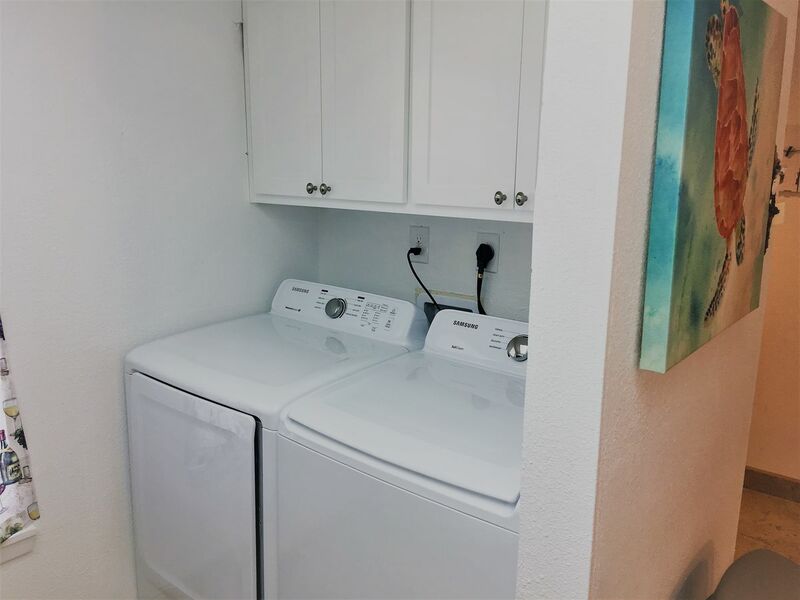 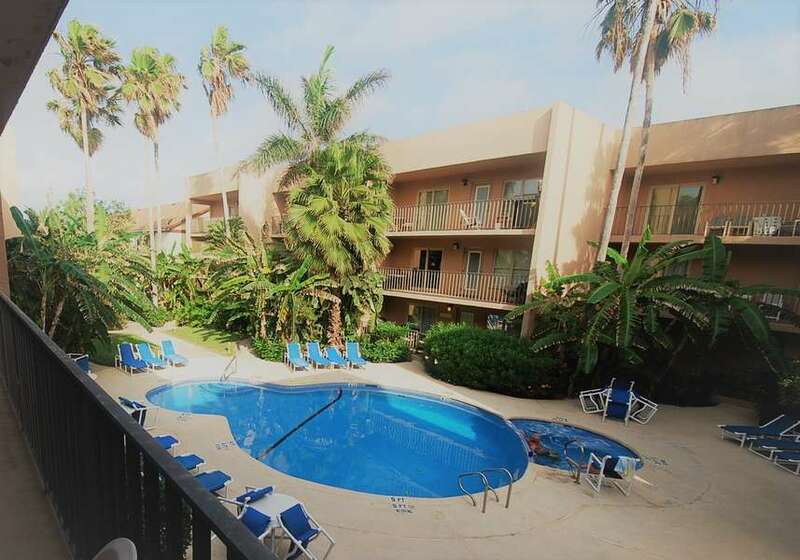 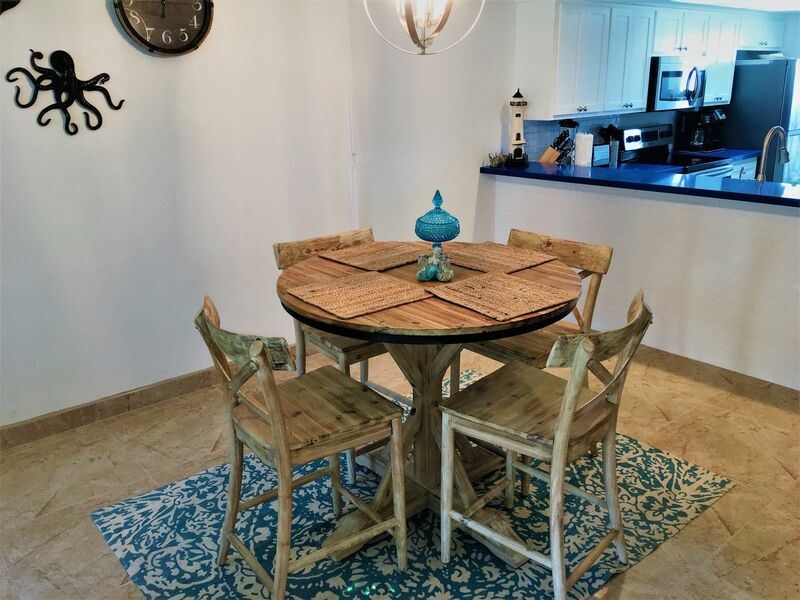 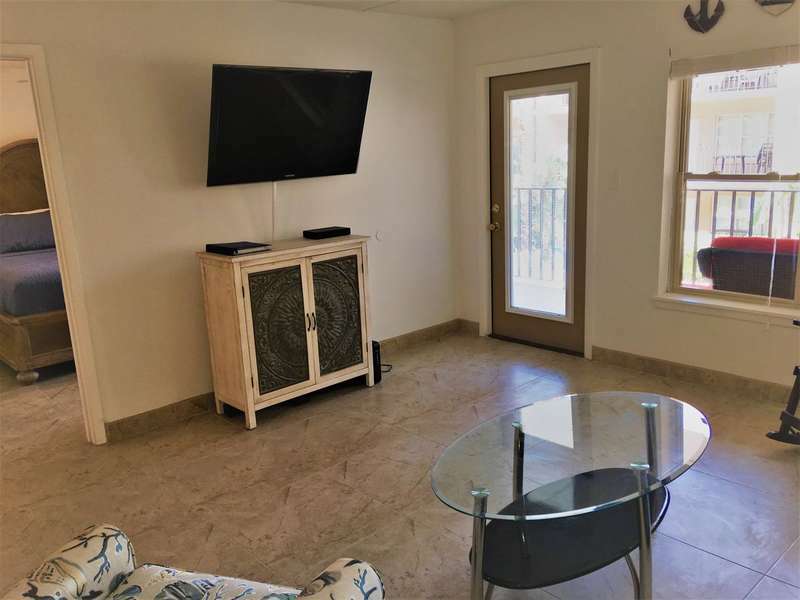 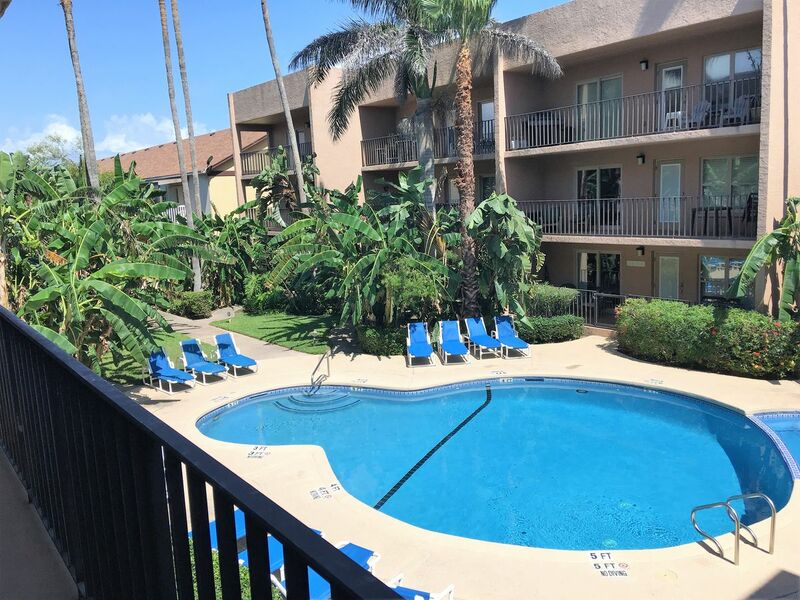 The Beachview Condominiums is located in the heart of South Padre, making walking to restaurants, shopping and the beach just a short distance away. 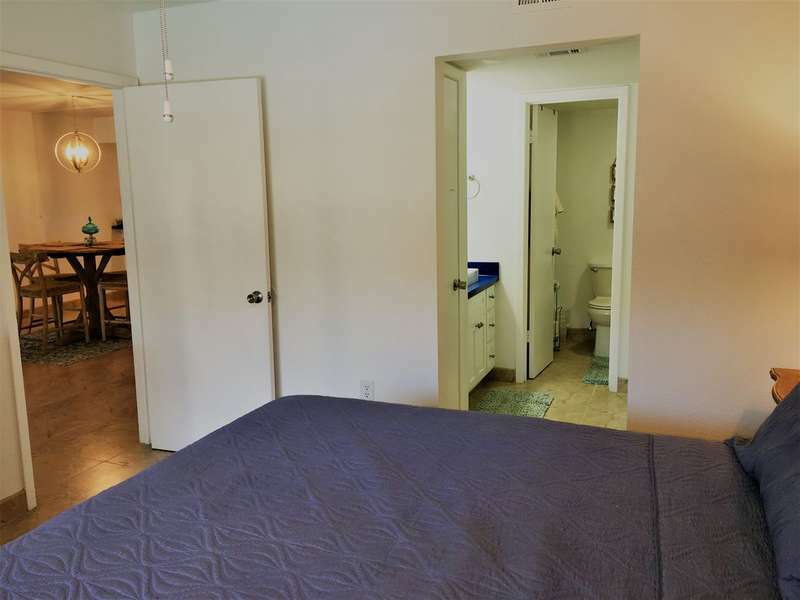 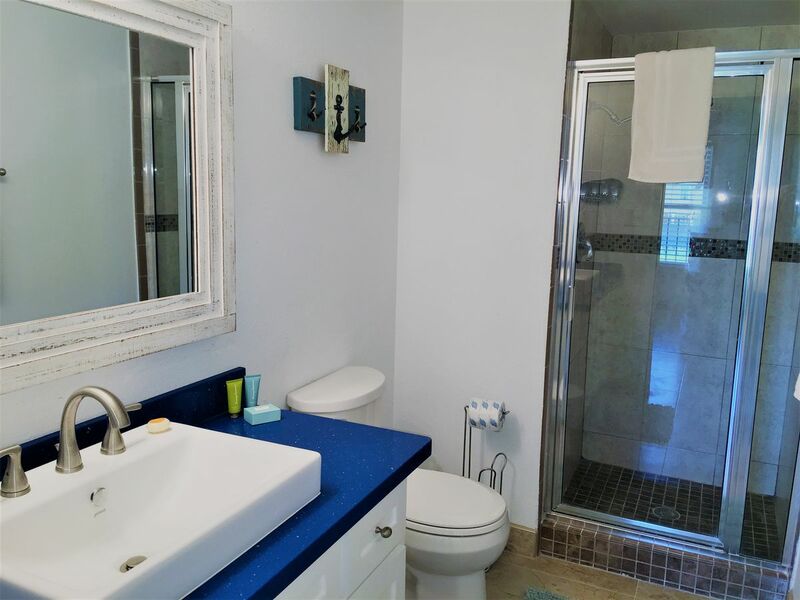 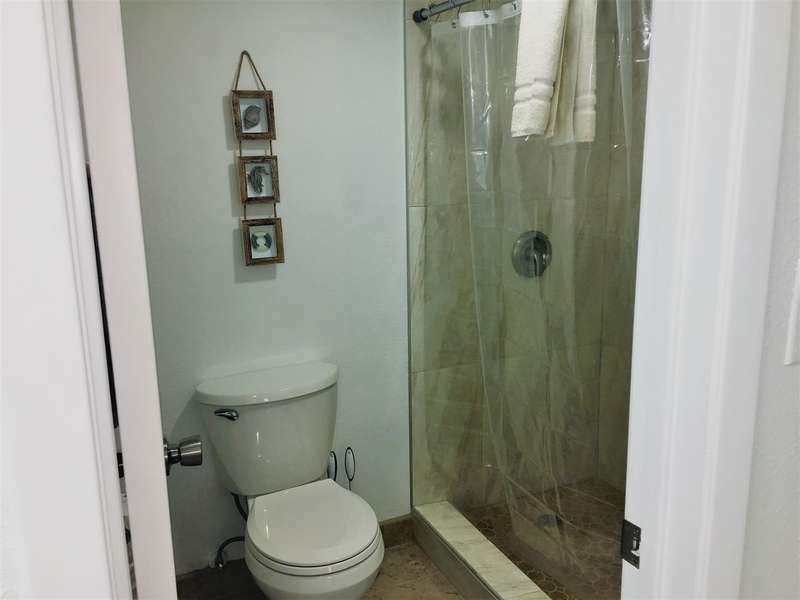 This very comfortable condo offers completely updated bedrooms, bathrooms and kitchen. 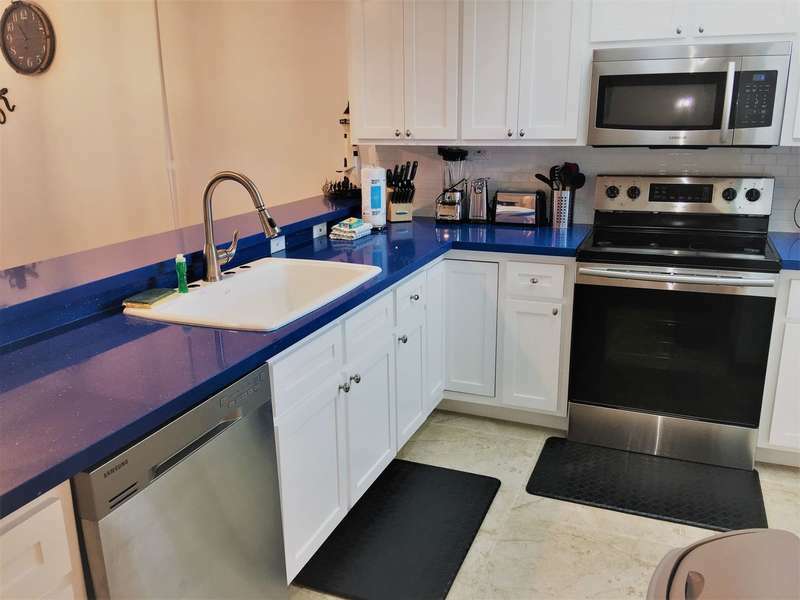 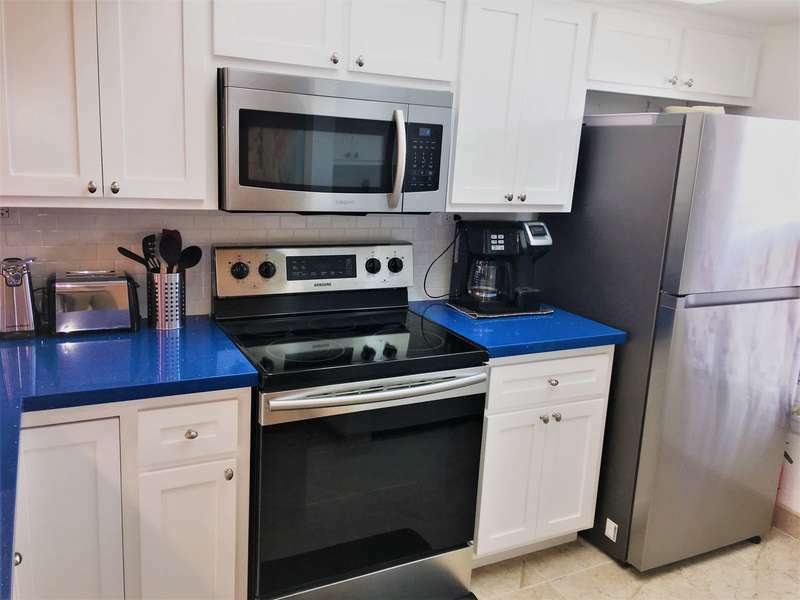 All stainless steel appliances in the fully equipped kitchen, and granite counter tops throughout. 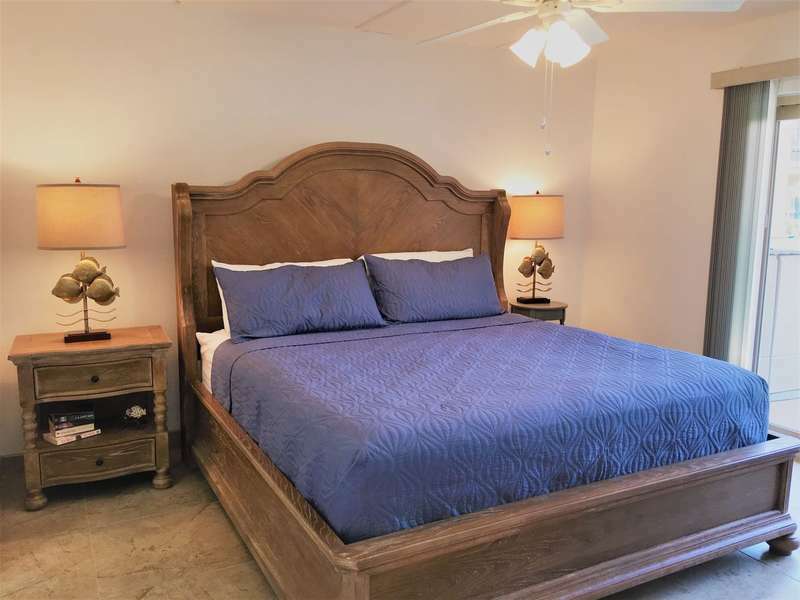 Sleep accommodations include a King size bed in the master room, Queen size bed in the guest room, and a Sleeper/sofa in the living area. 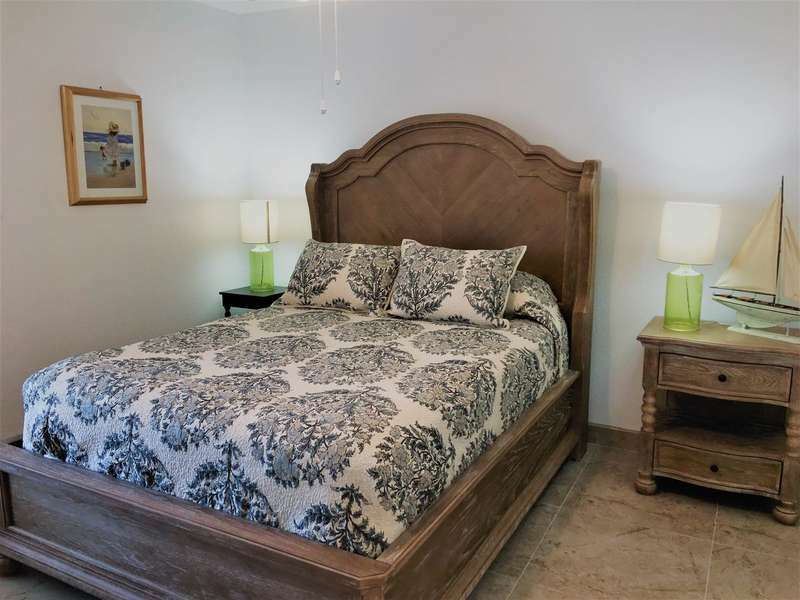 It can comfortably sleep 4 adults (max occupancy 6 persons).